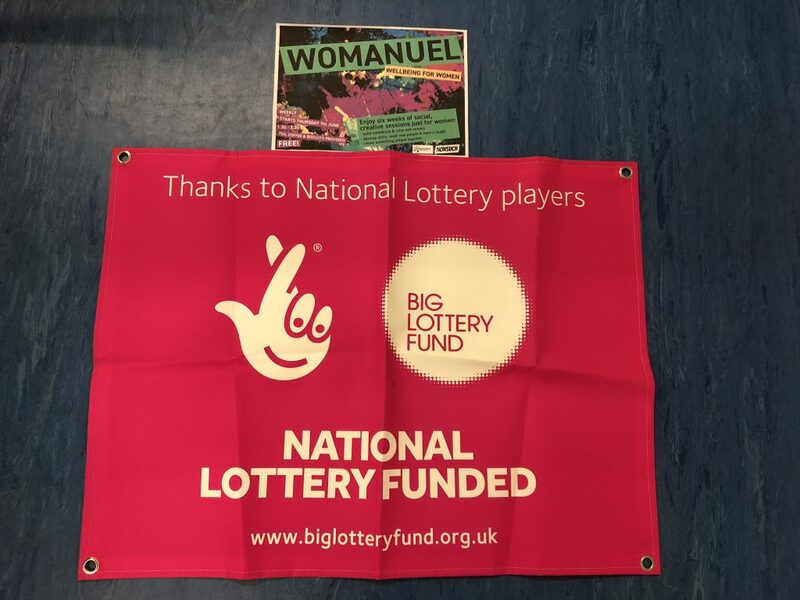 Last week, our Wellbeing Support Team launched Emmanuel House’s first ever women’s project, Womanuel. Facilitated by the Nottingham-based external creative agency, Nonsuch, the six week project will help to encourage social interaction and offer a relaxed environment in which to express and explore different areas of interest. Week 1 was a “getting to know each other” session with fun interactions to aid remembering individual names which brought out creative improvisation skills! The session was attended by seven women, along with two Wellbeing Support Team workers and their manager, who either visit the centre regularly or who are living in temporary and insecure housing. It was enjoyed by all, facilitators and service users alike, everyone had fun and it was a great atmosphere. One service user commented that “it was nice to laugh” and another said that “the people who ran the session are very friendly”. This project is the first time Nonsuch have undertaken a creative programme with people who have experience of homelessness. The Wellbeing Support Team is funded by the Big Lottery Fund. Already, all parties involved are seeing the benefits of the project and next week there’s cake involved, so it can only get better! What a great start to the six week project! Look out for weekly updates on the Womanuel Project!